Celebrate Team GB’s success at London 2012 with this Olympic souvenir. 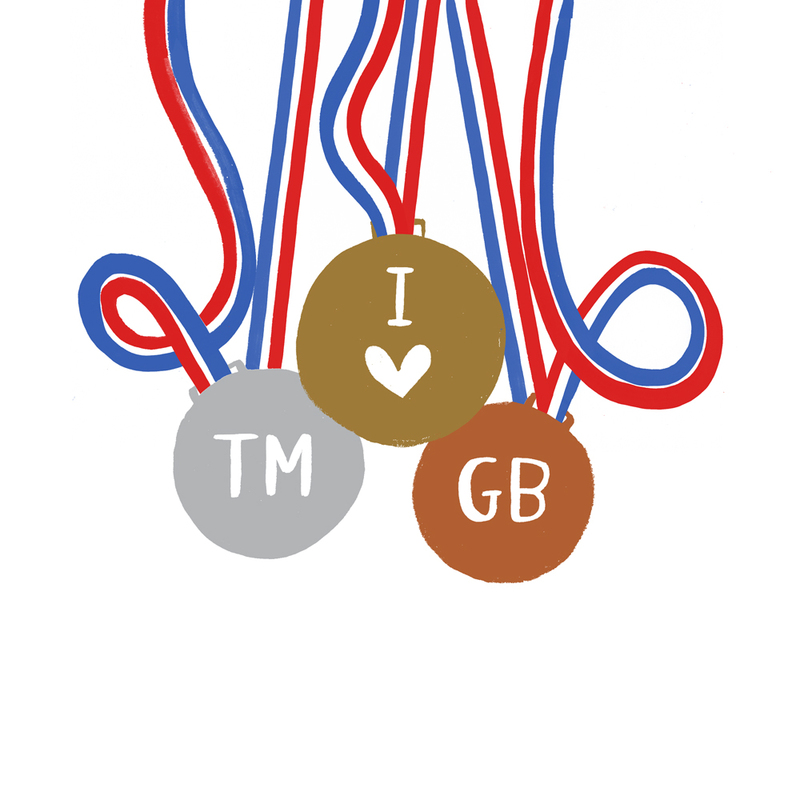 Gold Silver and Bronze medals that made us proud. 5 colour Limited edition screen print of 60. High quality metallic inks. 25cm x 25cm Printed onto fabriano paper 280gsm.